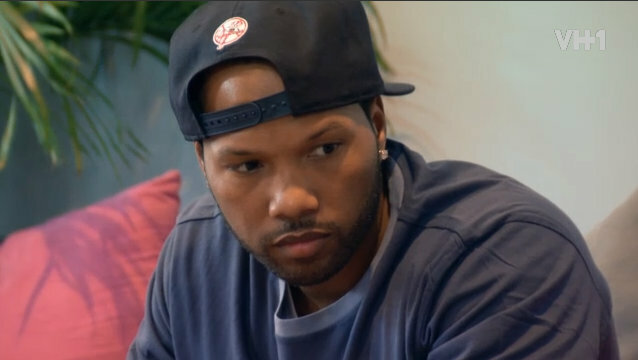 Vh1 reality show Love & HipHop reality star Mendeecees Harris plead guilty of drug trafficking charges Tuesday Morning in a Federal Court. Harris 36, admitted to his role in a narcotic conspiracy in front of U.S. District Judge Frank Geraci Jr. After many questions that almost took an hour for Mendeecees to answer that related to what Judge Geraci referred to as ” a rather complicated agreement “. During his court appareance, Harris admitted that he was involved in a drug trafficking operation that occurred over the years of 2005 up until 2012 shipped cocaine and heroin to the city of Rochester, NY. In the federal Agreement of the case, The reality star will also turn over money from his television show and paid appearances to the US Federal Government. He’s paid after every episode airs and has totaled more than $103,000, said his attorney Donald Thompson. Harris, who is now free on a $600,000 bail, will face a sentence of 8 to 10 years in federal prison and/or will be ordered to pay a fine ranging from $15,000 to $5 million. He will also face four or five years of supervised release of the 8 to 10 years sentence, Attorney Thompson said. Harris’ co-defendants Ronald Walker, and his brother Tyrus Harris, both have plead guilty to their roles in the case. Walker is now serving 10 years in federal prison. Judge Geraci agreed to allow Mendeecees to remain free on bail until his sentencing, which is scheduled for Aug. 31 at 3 p.m. to turn himself in to federal prison. Once the case is finalized, the bail package of $600,000 will be returned to those who put up money and property for Harris’ release. Harris and his fiancée Yandy Smith now Harris, will be getting married on live television Memorial Day May 25th 8-10pm on Love & Hip Hop Live: The Wedding.